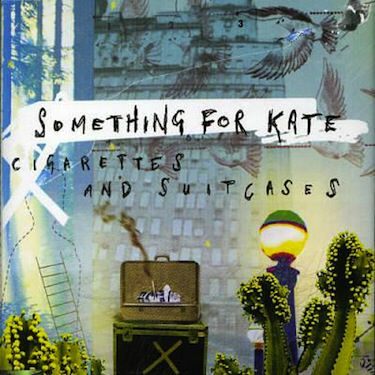 ‘Cigarettes and Suitcases’ is the first single to be lifted from Something For Kate’s highly-anticipated fifth studio album, recorded with producer/engineer Brad Wood (Liz Phair, Pete Yorn, Tortoise) and due for release in July 2006. Reflecting a new rawness and urgency to SFK’s sound, ‘Cigarettes and Suitcases’ will be followed by the band’s national Sci-Fi Sunsets Tour throughout May/June 2006 (tix on sale now, get in fast). B-sides include new track ‘The Actor Makes His Move’, a cover of Echo and The Bunnymen’s classic ‘Killing Moon’ and a live version of ‘Prick’, taken from the band’s anniversary show at The Prince of Wales in Melbourne in 2004.